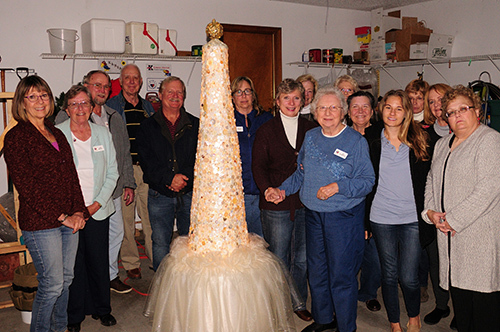 GFWC clubs didn’t let Veterans Day pass without doing incredible work to support the women and men who have served. 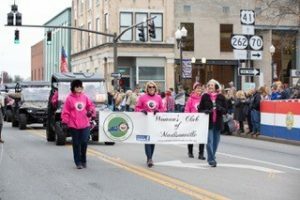 In this blog post we’re featuring GFWC Maine, the Covina Woman’s Club (California), the Woman’s Club of Madisonville (Kentucky), the Hoover Juniorettes (Alabama), and the GFWC South Baldwin Woman’s Club (Alabama), but that is a small fraction of all the projects that clubs dedicated in honor of Veterans Day this year. 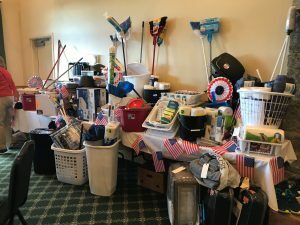 At the GFWC Maine Fall Conference, clubs donated 11 “Veterans House Warming Baskets” to homeless Veterans transitioning into their new apartments. Each basket consisted of 21 specific items needed to get set up in their new home. Also donated were new blankets, sheet sets, toaster ovens, coffee pots, air mattresses, and more. 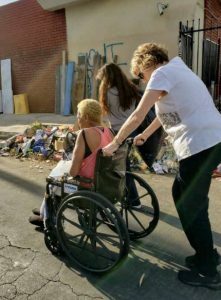 The Covina Woman’s Club (California) delivered 60 hygiene bags for homeless veterans in September and October, and continued to prepare them throughout November. They also donated eight blankets to keep them warm during the coming winter. 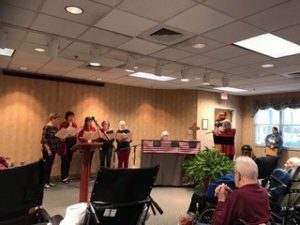 The Woman’s Club of Madisonville (Kentucky) celebrated by singing at the Veterans Day Program at the Veterans Center. 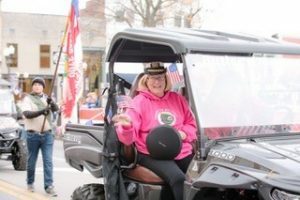 They sang “The Battle Hymn of the Republic” and “We Gather Together.” Additionally, they participated in the annual Veterans Day Parade, the largest in their state. 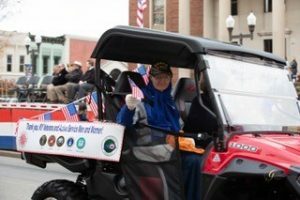 They used UTVs to transport one member from each branch of service in the parade, and other club members walked along side veterans. The GFWC Hoover Juniorettes (Alabama) had Erin Lyon, member of the US Army reserves and the Alabama Army Band, speak at their last meeting in honor of Veterans Day. Erin has a great story of how she became an oboe player in middle school, then a middle school band director, and finally joined the army at age 29 so that she could be in their band. 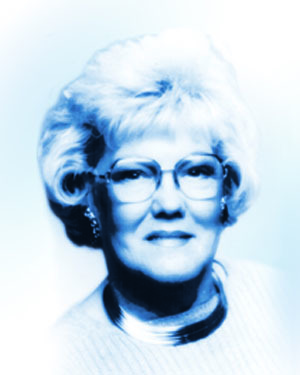 She inspired the Juniorettes to persevere through the tough times to get to the reward at the end. They thanked Erin for her service and for sacrificing time with her husband and small children to serve in the Reserves. She told them about a great organization called Grace After Fire which helps women veterans with PTSD and other problems they may have after serving in the military. 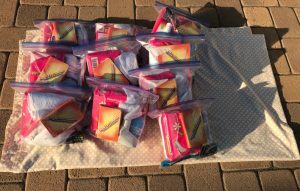 The club plans to bring toiletries and to make cards to send to them at their next meeting. 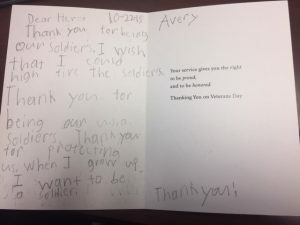 The GFWC South Baldwin Woman’s Club (Alabama) partnered with Edward Jones to bring extra joy and appreciation to their local veterans through a new card program. 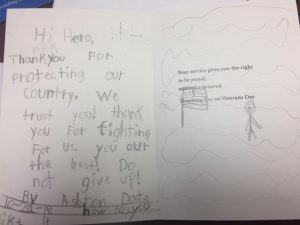 The objective of the program is to get classrooms to commit to decorating and signing Veterans Day cards. It can be as simple as putting their first name, grade, and school in the card. The children are also welcome to write a short note and/or draw a picture. The club appreciates giving children a chance to thank those courageous veterans who serve and are serving our great nation.